The fashion for tea-drinking in Britain led to a great demand for decorative containers in which to store tea leaves, known as caddies. 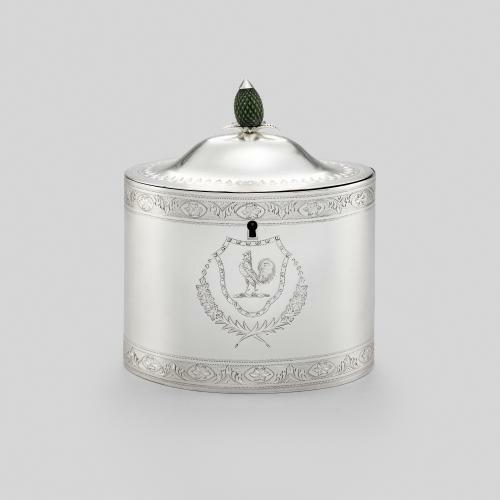 Due to the high price of tea, caddies were usually fitted with a lock, the key for which was safely kept by the lady of the house. 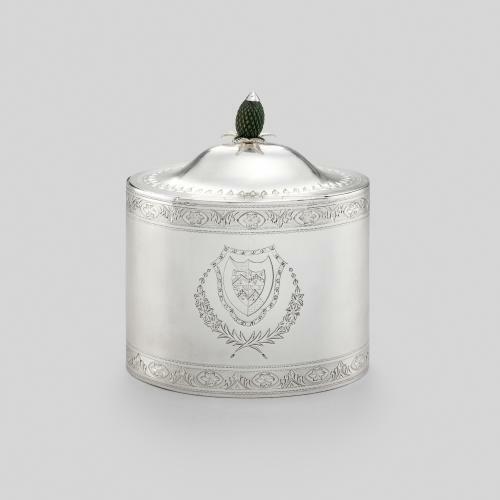 Towards the end of the 18th century, the form of the tea caddy evolved and more elaborate shapes and styles were introduced to cater to a fashion-conscious clientele. 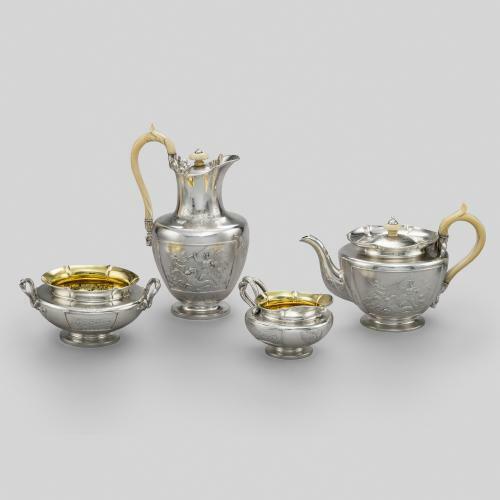 Elliptical caddies, such as this example, were made during the last quarter of the 18th century and were often engraved with fashionable neoclassical decoration. This caddy is engraved with a cartouche on each side, containing a rooster and an armorial crest, and features decorative bands and a stained ivory finial in the shape of a pineapple. At this time, pineapples were a rare fruit and were commonly used as a design motif to symbolise hospitality, wealth and exoticism. 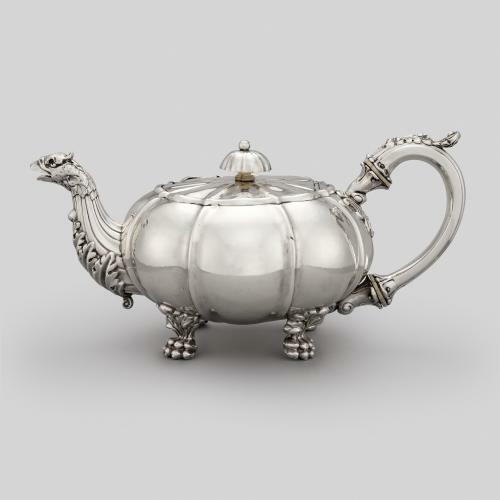 The maker of this teapot, Robert Hennell I, was part of a family of London silversmiths who specialised in small domestic silver objects, particularly for drinking and dining. From ca.1773 until his death in 1811, Hennell managed the family business with his sons, David Hennell II and Samuel Hennell.